Though it is not the norm, many people can make a substantial income blogging online. Sure, managing to make $100 per month blogging online is a reasonable goal for some, but others can make six figure incomes with the right following and a high traffic-generating topic. So what’s the secret? Here are successful blogging tips that will help generate more income for your budding blog. 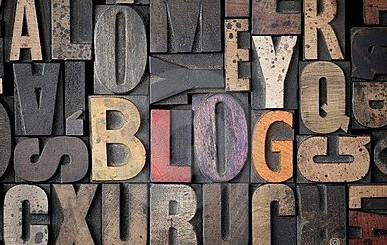 To begin a blog, you must first have a portal where people can view your blogs. This website should be simple and visually appealing, but it should also load fast (if it loads slowly, visitors will navigate to a competitor’s website). Without visual appeal, visitors will not feel that you have authority in the field. Be cognizant of this criteria when making your website to ensure your visitors will continue reading. You must also advertise and establish affiliate marketing partnerships to begin making money. When you participate in pay-per-click campaigns, Amazon advertising and other forms of digital marketing, you earn money when visitors click or when they purchase a product. With a large number of people navigating to your website, you can earn a significant income for yourself. Exposure is absolutely necessary to earn an income online. Without exposure, your website will not earn money, and you will waste time blogging. People need to know about your site in order to have the opportunity to click on the advertisements offered there. When people value the information provided on your website, they are more likely to click on your advertisements. To gain exposure, you must increase your search engine ranking in major search engines. Website consultants can help with this, or you can try to do it yourself. You must also network with your friends and colleagues to help others learn more about what you do. People are more likely to trust your website when they know and respect your blog. Establish authority in your field. If you are an authority figure known for providing factual information, you will receive more visits to your web page. More visitors represent a greater opportunity to disseminate your message and gain exposure for companies advertising on your website. Be a leader, give them insider information and make them feel like they are following a great cause or topic. Build partnerships with other people and help them with their blogs. For instance, you can help a person build their blog and split the proceeds with them. This is an excellent way to earn extra income and to try a different topic or angle to gain viewership. Or you can create a content-sharing relationship with fellow bloggers as a way to promote each other’s endeavors. Working full-time, your blog can be up and functional within a week or less. You will not make money immediately, but you will monitor the statistics and tweak your website to increase its profitability. Set a three-month timeline for yourself and try to come up with reasonable goals you can accomplish in that time frame. After your blog is perfected and you gain exposure through social media, word-of-mouth and others, you will earn a significant amount of money, and will be thankful for your mid-to-long range commitment. Wayne is a casual writer specializing in finance news. Wayne works in an accounting practice and has earned himself respect among his fellow chartered accountants in Sydney by providing smart business and tax advice to his clients. Good post, Wayne. It gives a solid overview of the process of starting a blog and monetizing it. I think #4 is crucial, but often overlooked, because people tend to focus solely on their own site (which of course is a mistake). You have summed up the steps of creating money from your blog. Most people assume that the only way to make money is with Adsense but there are so many other alternatives. And it is always good to put a time limit, there is no point slaving away on a blog that isn’t going anywhere! Hi there! I just would like to give an enormous thumbs up for the nice info you could have right here on this post. I will be coming back to your blog for extra soon.